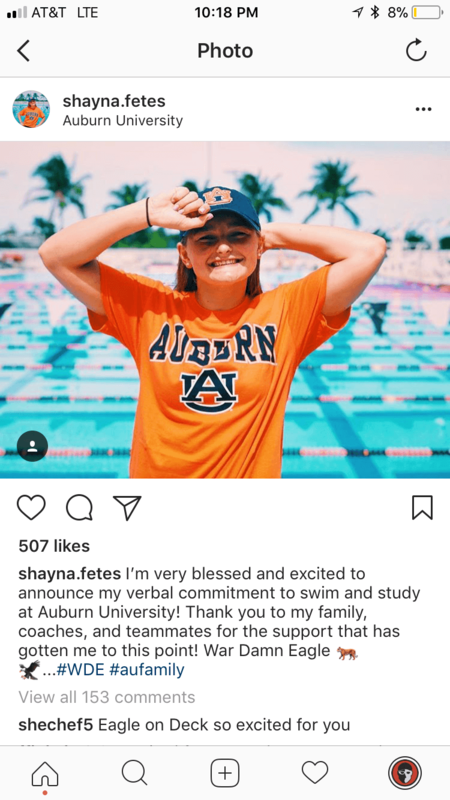 USA Swimming Scholastic All-American Shayna Fetes has announced via social media that she intends to swim for Auburn University in the class of 2023. Fetes specializes in breast and IM. As a junior at Saint Andrews School, won the 100 breast by nearly 2 seconds with 1:02.40 at the 2017 FHSAA Class 1A State Championships. 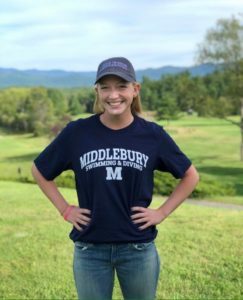 She also placed 6th in the 200 IM (2:04/04) and split a 28.86 breaststroke on Saint Andrews’ runner-up 200 medley relay. Fetes swims year-round with Saint Andrew’s Aquatics. 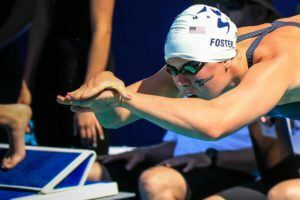 After high school championships in November she followed up with three lifetime bests at Winter Juniors East. 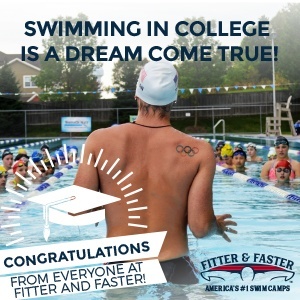 There she finished 20th in the 100 breast, 10th in the 200 breast, 34th in the 200 IM, and 40th in the 400 IM and earned PBs in the 200 breast and both IMs. 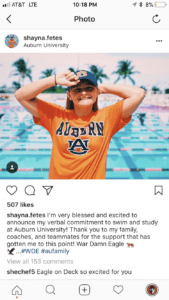 Last summer she was runner-up in the 100 breast and placed 5th in the 200 IM, 9th in the 200 breast, and 18th in the 400 IM at Nashville Futures. 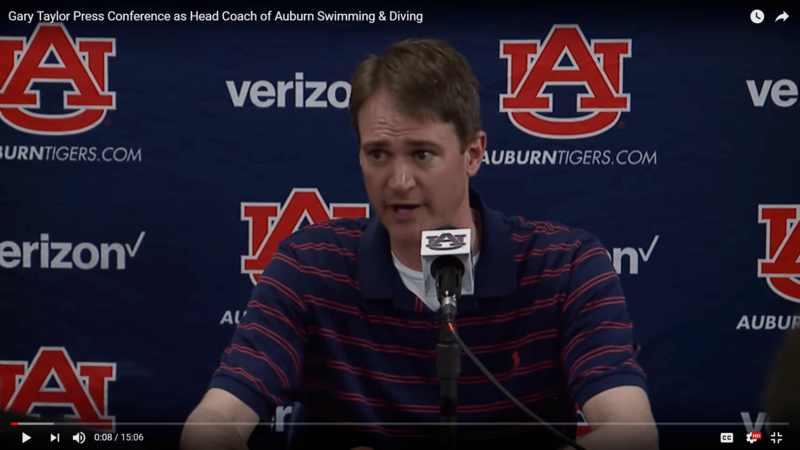 Fetes will have two years of overlap with Carly Cummings, who scored in the B finals of both the 100 breast and 200 breast at 2018 SEC Championships. It took 1:02.0 and 2:13.6 to score in those respective events at conference. Great pick up for the AU family. 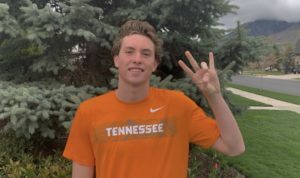 Perhaps the best recruit they will land!! !